When Yellowstuff see some heat (which is not tested for in the ECE R 90 brake safety regulations) they really show their pedigree. 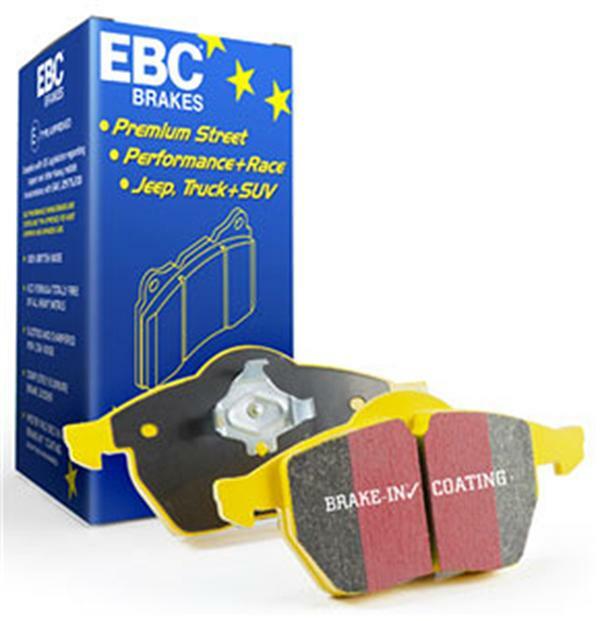 On Japanese cars built with lower friction FF rated pads these deliver a full grade higher stopping and on German cars built with GG these are about the only aftermarket pads that will match or beat the pretty good German OE spec pads and that takes some doing. Not only a high friction pad but very resistant to heat and loads of heavy braking means that yellowstuff has been used with great success in race cars and on high speed Police Vehicle brakes alike.